Wakefield's Tinirau Arona (Picture: Tony Johnson). IT is back to the practice pitch for most Super League teams this weekend, just one game into the season. The competition, all but two games of it, will take a break to accommodate the World Club Series, which sees Super League Grand Finalists Warrington Wolves and Wigan Warriors take on Australians Brisbane Broncos and Cronulla Sharks. Huddersfield Giants, against Salford Red Devils tomorrow, and Leeds Rhinos, who visit Leigh Centurions on Friday, will take part in games brought forward from round 11 when they are involved in the Challenge Cup. 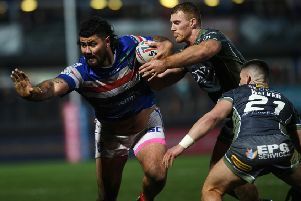 But teams like Wakefield Trinity are back into a brief pre-season mode and, as far as forward Tinirau Arona is concerned, the opportunity to work on aspects of their performance from last week is welcome. Trinity showed some good signs in a match that produced only two tries, one to each team, and Arona feels their defensive effort bodes well for the season, but they have much more to offer on attack. “I thought we did well defensively,” said the Cook Islands international of Wakefield’s 12-8 defeat by Hull in a mudbath at Belle Vue. “They only scored one try, from a kick. “We did bring that up and work on it throughout the week, but, unfortunately, it was one slip-up. “But I am sure we will work on it over the next week or so and we will improve in that area. “They didn’t really break our line after that, but I think it was just one of those days. Conditions played a big part in how the game was played. “With it being so wet and the ground being so heavy, you couldn’t play much open football, but I thought our back-five got us forward and our middles did a good job in defence. Arona is into his second season at Wakefield, after joining them from Cronulla Sharks, and admitted the cold and wet last weekend made him feel very much at home. “I’ve not played in anything like that since I was back in New Zealand when I was a kid,” said the 27-year-old, who has also had spells with Penrith Panthers and Sydney Roosters. “I was born down in Dunedin, in the south island, and it’s real muddy there and similar conditions to Sunday. Wakefield went 6-0 behind, to three penalty goals, before pulling two back in similar fashion. A converted try edged them ahead early in the second half and with both teams bogged down by the elements, it seemed they would hang on, until Jake Connor scored a try on his Hull debut and Marc Sneyd’s fourth goal completed the scoring. It was a big effort from both teams and Wakefield’s forwards, in particular, had to dig deep. Prop Anthony England suffered concussion inside the opening three minutes and did not return and second-row Matty Ashurst went off in the final quarter. Arona replaced England and played most of the match, earning praise from coach Chris Chester. Arona admitted he had not expected to get thrown into the action so early, but stressed: “That’s rugby league. The weekend off will give England and Ashurst time to get over their injuries, along with new signing from Hull KR Mitch Allgood, who has yet to make his competitive debut for Trinity. Halifax-based community club Siddal have been drawn as the new Toronto Wolfpack’s first competitive opponents, in the third round of the Ladbrokes Challenge Cup. 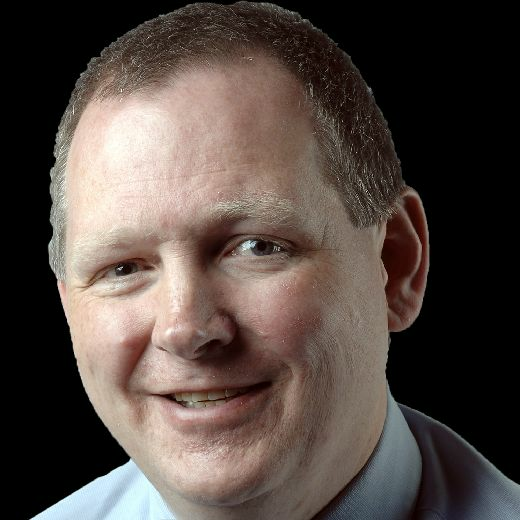 Siddal, who won amateur rugby league’s flagship National Conference Premier Division last year, were drawn out first, though Toronto had already agreed to concede home advantage. Yorkshire Cup holders and Pennine League leaders Fryston Warriors face Keighley Cougars and Doncaster are at home to Conference club Myton Warriors. Full draw (to be played February 25-26): West Hull/Thatto Heath v Whitehaven, Hemel Stags v London Skolars, Fryston Warriors v Keighley Cougars, University of Gloucestershire All Golds v North Wales Crusaders, Newcastle Thunder v Workington Town, Doncaster v Myton Warriors, Siddal v Toronto Wolfpack, Barrow Raiders v Rochdale Mayfield, York City Knights v Egremont Rangers, South Wales Ironmen v Oxford, Hunslet v Coventry Bears, Wests Warriors v Haydock.